When schools are on the various breaks that happen with in the school year or it is summer break, I hear so many parents saying what am I going to do! You can be sneaky and plan a whole day of learning, trust me your kids won't suspect anything! Here is a list of places to check out with your family when you have a whole day burn! The Highlands Museum is located in Ashland and admission is very reasonable $6.50 for adults and $5.00 for kids 2 and up. Locust Grove in Louisville, is a history buff's dream trip. I remember many a field trip to this landmark myself. 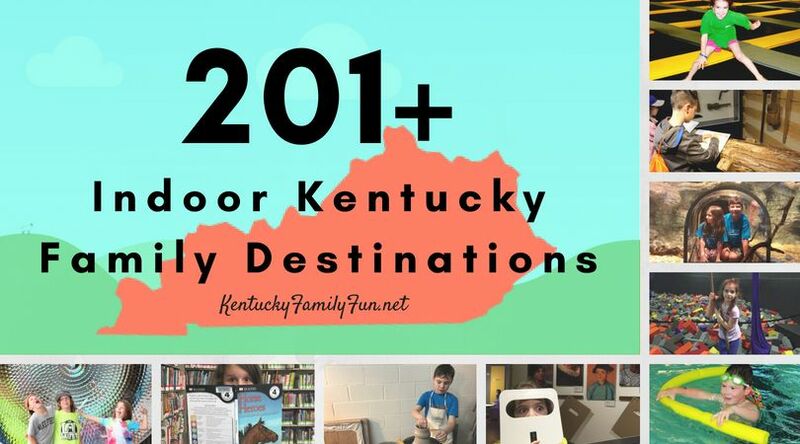 The Kentucky Railway Museum is really special not only do they have special events like Thomas the Train coming to visit but they have a really interesting museum that you can take your family for a visit. New Haven might just be where you and your family end up for the day! The Dinsmore Homestead is located in Burlington, when you visit this homestead you are able to take a trip back to rural 19th century. I had no idea that this place existed but there is a coal mining museum! It is called the Kentucky Coal Mining Museum and is located in Harlan County. Loretta Lynn has items on display in the museum. The Great American Dollhouse Museum is a good place to think about taking your doll house lover. It is located in Danville KY and was recently featured on A&E. The Marshall Key House in Washington, KY was written about in Uncle Tom's Cabin and was the site of slave auctions. The museum goes from Slavery to Freedom, and is featured in the Underground Railroad tours. The Wickliffe Mounds is located on a site that used to be a Native American Village. It is located in Wickliffe Kentucky. South Union Shaker Village is a great place to visit if for no other reason than to pick up their Shaker Lemon Pie! It is located in Auburn, KY my old stomping grounds! The Kentucky Horse Park in Lexington, KY is a great visit! They house a wide range of horse breeds and do daily demonstrations about various horse related topics. These ideas should at least keep you and your family busy for a little bit! Get away before the holidays! Pumpkins, Pumpkins and MORE pumpkins. Top 10 Halloween Celebrations in Kentucky.